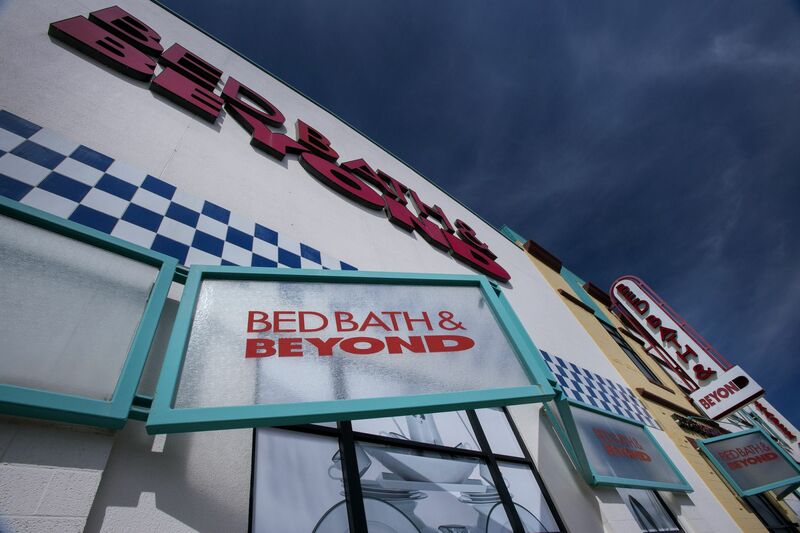 Retailer Bed Bath & Beyond (BBBY) will report financial results after the market closes today and they will almost certainly be bad. Analysts expect a ten percent decline in sales and a 25 percent drop in earnings for the quarter. The stock, however, continues to rise, jumping 5.09 percent today — the biggest gain on the Entrepreneur Index™. In fact, BBBY has had the biggest gain on the index three times in the last week and is up a staggering 71.5 percent so far this year. Investors are clearly betting on improvement. Since a trio of activist investors targeted the company for action two weeks ago, the shares are up 39.9 percent. The rest of the market was generally positive across all sectors with a late pop from positive U.S.-China trade news pushing the indexes to modest gains. The S&P 500 and Nasdaq Composite indexes were up 0.35 percent and 0.69 percent respectively while the Dow was up just 0.03 percent. With BBBY leading the way, the Entrepreneur Index™ was up 0.83 percent. Only eight of sixty stocks on the index declined today. Three of the four FAANG technology stocks on the index were up. Netflix, down 0.22 percent, was the only one to decline. Salesforce.com (2.08 percent) and NVIDIA Corp. (1.5 percent) had the biggest gains in the sector. Twitter, down 1.11 percent, had the biggest loss. Drug-makers Regeneron Pharmaceuticals, up 3.16 percent, and Alexion Pharmaceuticals, up 2.65 percent, had good gains after two-day declines. Alexion set a 52-week high in the process. Clothing-maker Under Armour Inc. also bounced back 3.09 percent from a nearly five percent decline yesterday. Other good gains on the index were posted by Franklin Resources (2.1 percent), Estee Lauder Companies (1.63 percent), Hess Corp. (1.31 percent) and Ford Motor Co. (1.3 percent). The REIT sector was also generally strong. SL Green Realty Corp., up 1.97 percent, and Kimco Realty Corp., up 1.65 percent, had the biggest gains in the sector. While only ten stocks on the Entrepreneur Index™ had gains yesterday, only eight had losses today. Twitter had the biggest decline, falling 1.11 percent, followed by food-maker J.M. Smucker Company, down 0.34 percent. Earnings season kicks into a higher gear next week with major banks reporting results.